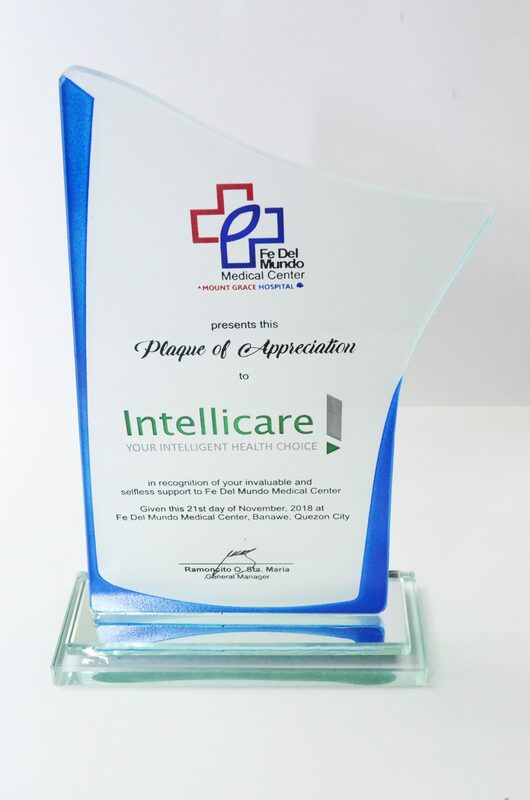 Thank you Fe Del Mundo Medical Center for appreciating and recognizing our efforts! The plaque has been given last November 21, 2018. 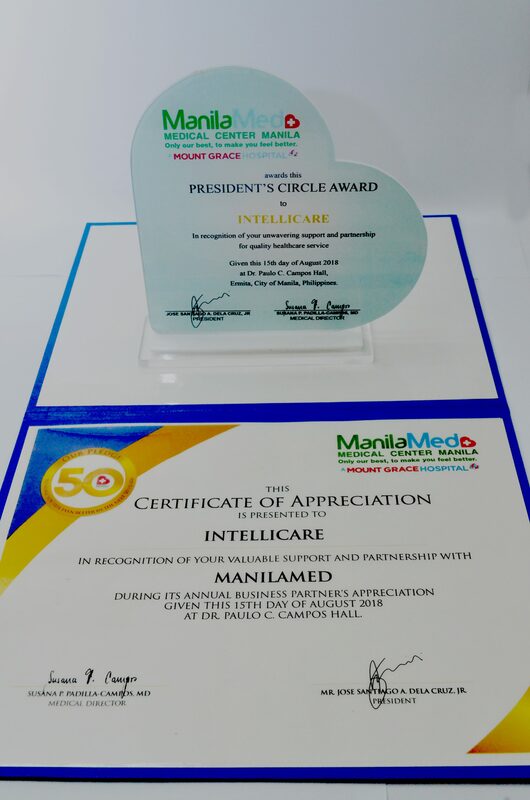 Thank you Medical Center Manila (ManilaMed) for recognizing our efforts through the President’s Circle Award and a Certificate of Appreciation! These awards were given during their annual Business Partner’s Appreciation last August 15, 2018. 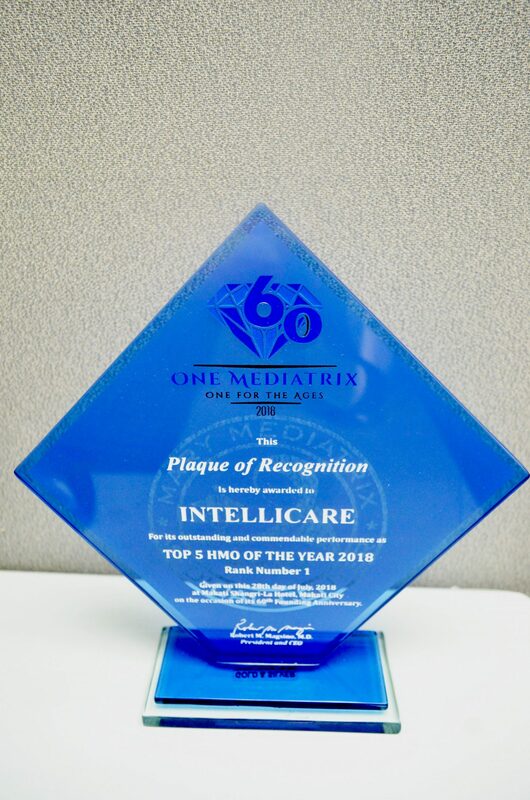 Intellicare ranked first in the Top 5 HMO of the Year 2018 for its outstanding and commendable performance, awarded by Mary Mediatrix Medical Center on its 60th founding anniversary on July 28, 2018 at Shangri-La Hotel Makati. Thank you for this wonderful recognition!